- FrancesCassandra: UK fashion, beauty and lifestyle blog. 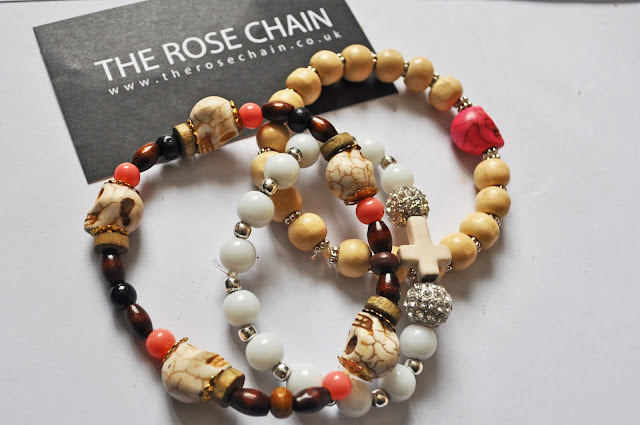 : The Rose Chain Jewellery. I love layering different bracelets as well, it just creates such a pretty look! These look amazing! 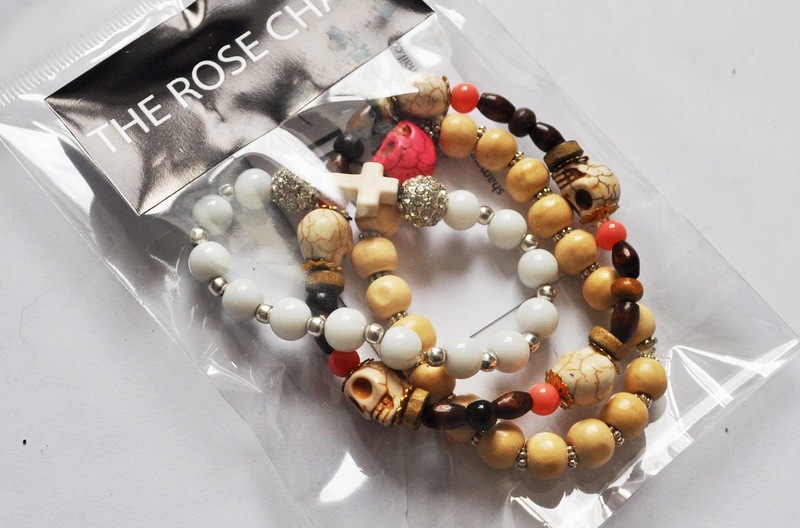 I love the pink skulls! I have been looking for something as stocking fillers for my sister at xmas (Yes I'm seriously thinking about xmas presents already) & I think these would be perfect! They look really nice stacked together! Gorgeous, I want all three. Would love to stack this beautiful wooden beaded bracelet, with my new classic black dress. It would look amazing. I love to collect skull beaded jewellery.